Segmentation: The core principle of e-mail marketing is segmentation, adding people to specific lists based on their interests and actions. Segmentation ultimately allows you to create highly receptive messages. You can’t do this with Twitter or Facebook. Conversion: Social media is relational, not transactional. Studies by Blackbaud, Razoo and others show that Twitter and Facebook have about a 3 to 6 percent conversion rate. E-mail on the other hand has a 33 percent conversion rate. What this means is that social media should be used in conjunction with e-mail in order to do effective online fundraising. Social media creates awareness, likability and connection; e-mail builds on that with personalized messaging and personalized appeals. Given that e-mail plays such a critical role in the fundraising process, why is it that so many nonprofits pay little attention to it? Could it be that they just don’t know what role it plays? Or could it be that they don’t know where to start? Following are a few strategies and tactics that you can use right now to get more from your e-mail marketing. 1When someone joins your general email list to receive updates or news about your organization, they’re highly receptive to hearing from you. They might not be as open in a few hours, so follow up immediately when you’re fresh on their mind. You take advantage of this precious opportunity to establish the tone of the relationship with a sincere message of gratitude. 2Depending on why someone joins your email list, it’s a precious opportunity to share the good work you’re doing with their friends. Make it easy with a sharing action in a follow-up email, or on the confirmation page once they subscribe. The emphasis of the ask should depend on the action the subscriber just took. For example, asking them to share your e-mail list with her friends could come across as pushy since all they did was join your e-mail list. 3When someone joins your email, they expect and want you to email them. The worst thing you can do is ask someone to join your e-mail list, but have nothing to send them once they join. Why even have an e-mail list in the first place? Remember, they gave you permission to enter their inbox, and are seeking more from your relationship with them! 4People make decisions related to trust in less than a tenth of a second. And people trust their friends way more than they trust any brand or nonprofit. An email format in rich text shared among friends feels more personal and thus more trustworthy. In several tests I’ve done with clients, rich text email get a 17% higher average click-through rate over HTML templates. Imagine how awkward you’d feel if your friend sent you personal email in an HTML template format! Rich text emails are also much easier to read on mobile devices, which more and more people use these days. 5A quality email marketing service allows you to personalize the email message for each subscriber. There isn’t a silver bullet answer for how to personalize emails because every organization is different. But what is important is that you seek to personalize emails based on understanding your audience (Personas really help here). 6Your email messages are not being read by thousands of people. They’re being read by one person at a time in the privacy of their inboxes. Write your emails directly to this person. 7Depending on how strong the supporter’s tie is to your organization, several short emails usually get more results than long emails sent out infrequently. 8All of your subscribers and donors are not the same. So why would you send them the same exact message? Segmentation allows you to create highly receptive messages based on your subscriber’s expressed interests. For example, donors supporting the protection of sea turtles would be much more receptive to similar messages than they would messages about lowering CO2 levels. To develop a segmentation strategy, start with your personas. Your organization and people are beautifully unique. You stand for something that no other organization stands for. Your people support you for reasons that are uniquely theirs. Because of this, you do not want to start torching your list by testing out ideas you read about on some blog. Test these ideas, yes. But please test them on a small percent of your list, maybe 5 percent. Test subject lines, copy, rich text vs. HTML templates, etc. Take what works here and leave the rest. 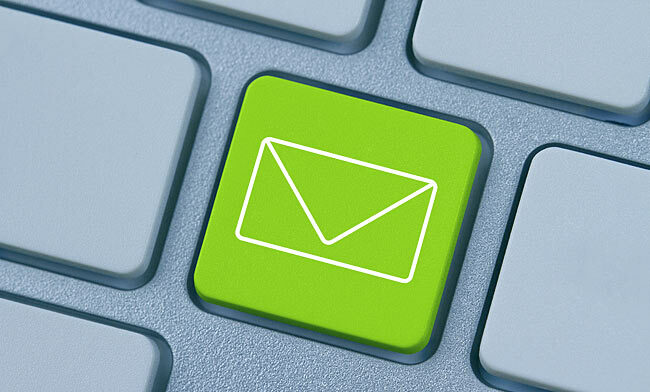 Tell us: How do you do more with your email list?